Continue reading "UCL Summer School in Homer (2018)"
Professor Henrike Lähnemann is based at the Albert-Ludwigs-Universität Freiburg during the summer, and she has been using a very practical method to teach her students about manuscript production. Click on the screenshot below to watch the video on the Freiburg website, and see Professor Lähnemann and her students produce their own documents. 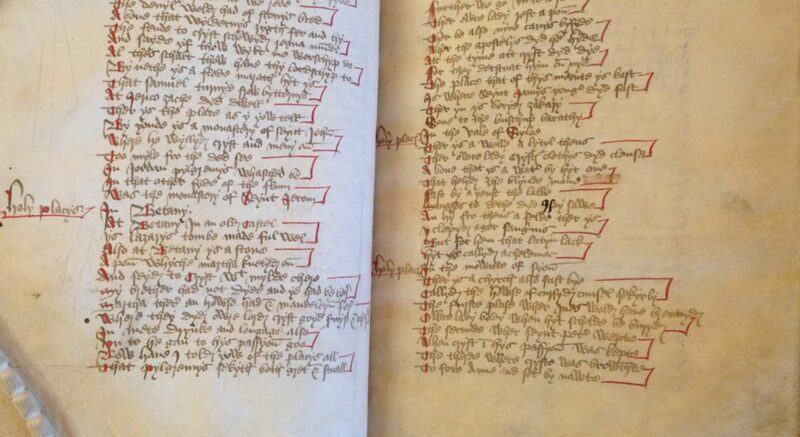 Continue reading "Oxford Workshop for Manuscript and Text Cultures"
Continue reading "Folios, Quires, and Codices, Oh My! Introducing Manuscript Studies to Undergraduates"